Attorney “ I believe the practice of law requires insight and compassion coupled with professionalism. I strive to serve all clients with respect and dedication. 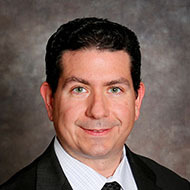 After running his own successful business for four years, Piermario began practicing law with Rizzo & Diersen, S.C. He focuses on Bankruptcy and Business Law, as well as Real Estate transactions. He also handles business start-ups. His areas of practice include Bankruptcy, Business Law and Real Estate. Piermario is an avid competitive bicyclist. Piermario Bertolotto was born and raised in San Juan, Puerto Rico. He attended Marquette University on a scholarship, and after completing his undergraduate studies in Biology and Basic Health Sciences, decided to attend the JD/MBA program in that institution. He is fluent in Spanish. State Bar of Wisconsin, American Bar Association, Milwaukee Bar Association, Kenosha Bar Association.